F-Secure Internet Security, which costs $59.99 for one year protection, is going to today’s victim. F-Secure is not an extremely popular product. Truthfully, I’ve never seen a computer using it. As you may know, an Internet Security suite offers Anti-Virus capability and Firewall capability in one piece of software for better protection that just Anti-Virus software alone. So, I’m going to do my typical test of visiting known malware-containing websites. The first stage of the F-Secure installation is quite easy. It’s just like any other installer. 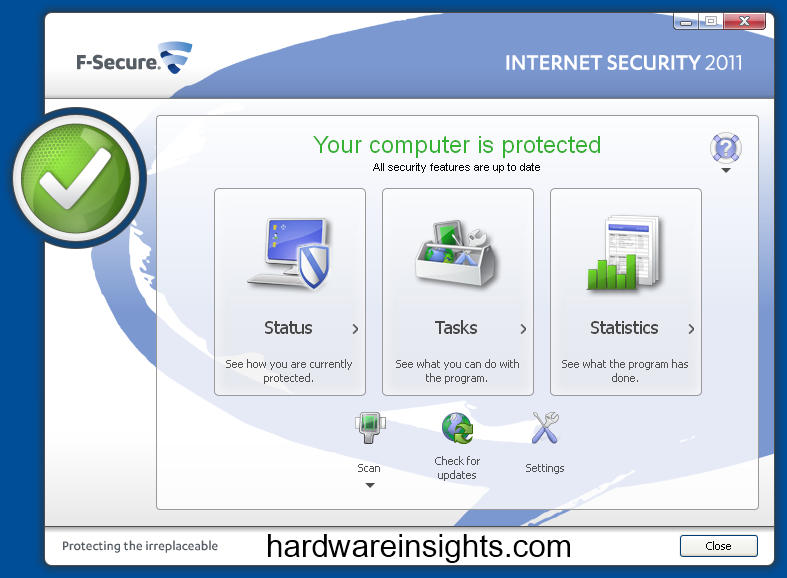 F-Secure Internet Security has a clean interface with an unusual background of a blue speech bubble. The sane speech bubbles shows up on their website. There is a simple color-coded protection status. 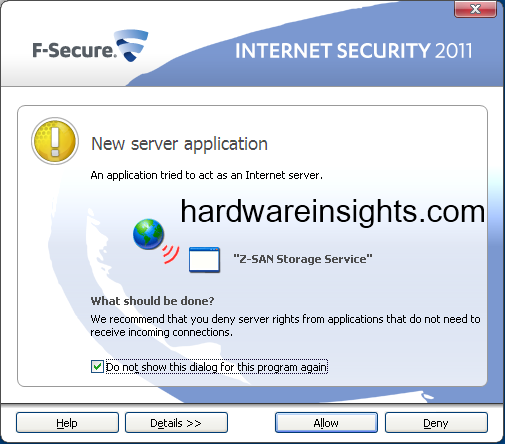 F-Secure Internet Security 2011 did a great job in our tests. It blocked 100% of all malware we threw at it. No issues here. Like any good firewall, F-Secure asked me whether to allow programs it did not recognize as whitelisted. One of these, the drivers for my Netgear NAS, prompted an alert. Nothing malicious of course, just an example of something it had never heard of before. But I’m glad it came up, since it showed that the Firewall works properly. The scanner showed 0 infections, since they had all been caught by the real-time protection, not even giving them a chance to hang out on the test computer. These scan results were verified by Malwarebytes’ Anti-Malware. Great job, F-Secure! F-Secure Internet Security provides good protection and a simple interface. However it was let down by its slow installer and the lack of more features, (a browser toolbar or something would have been nice, since this is an Internet Security Suite). For the price of $59.99, Norton 360 would be a better deal.